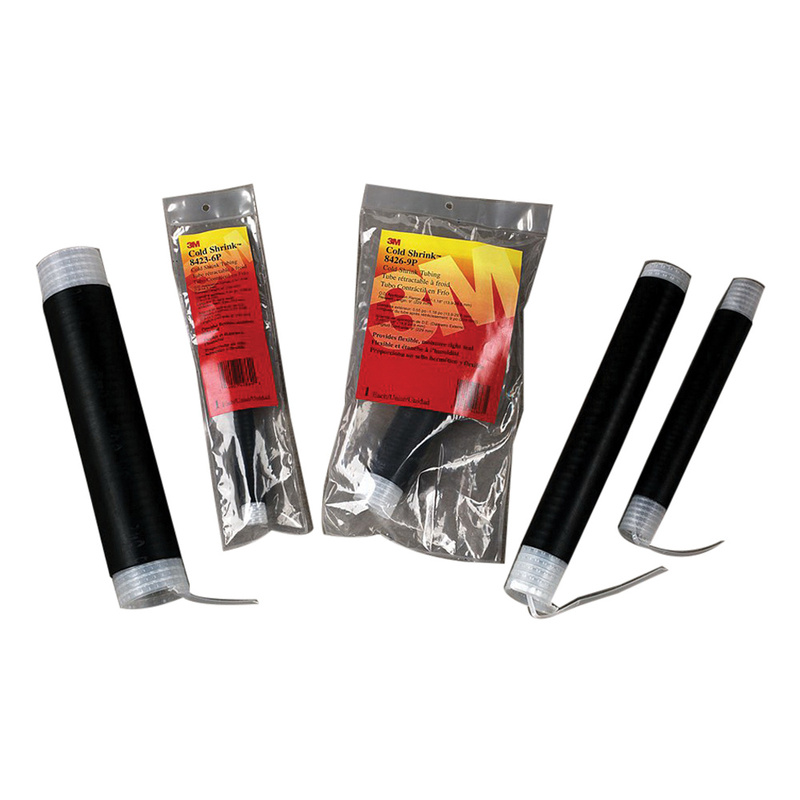 3M Low-voltage cold shrink inline splice is ideal for primary insulation of solid dielectric insulated wires and cable splicing. The inline splice with single conductor, ensures easy installation. It has a voltage rating of 1-Kilo-Volts. The inline splice in black color, features EPDM construction. This inline splice with an insulation of diameter 0.31 - 0.56-Inch, has a connector of length 2-inches and relaxed tube of length 6-Inch. The inline splice accommodates conductors of size 6-4-AWG. Inline splice meets CE and ANSI standards.